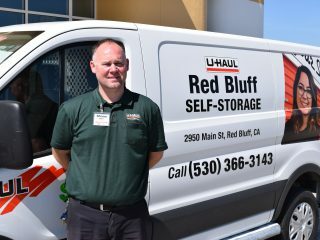 U-Haul Company of Northwest California and U-Haul Company of West Sacramento are offering 30 days of free self-storage to residents who have been or will be impacted by the fires in Lake County, and the County Fire on the hills east of Lake Berryessa. The California fires have created a need for assistance, particularly for evacuees to stow their valuables and other belongings in a secure facility. “Many of our neighbors have been put in harm’s way and are in need of help. We want to provide them a place to keep their possessions at no charge for 30 days,” stated Chris Trudell, U-Haul Company of West Sacramento president. 1240 E. Monte Vista Ave.